A look at statistics for fatalities and casualties on the roads. 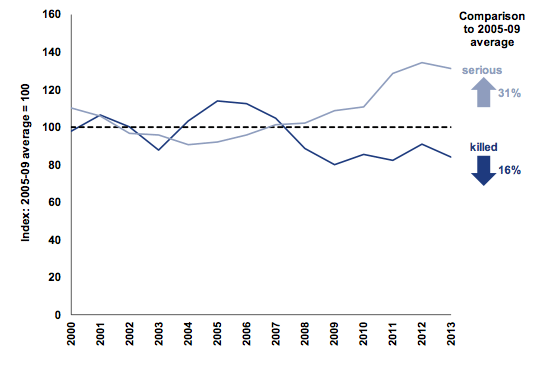 In the past 15 years, there has been a trend for cycling fatalities to fluctuate between 100 and 120. Serious casualties have seen a 31% increase. 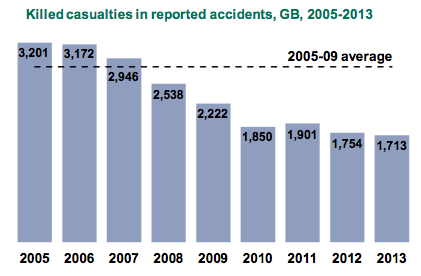 Significant fall in overall fatalities on UK roads. Cars account for approx 78% of journeys but 46% of fatalities. Although cycle fatalities have fluctuated around 100-120, there has been a steady increase in the number of serious casualties in the past 10 years. 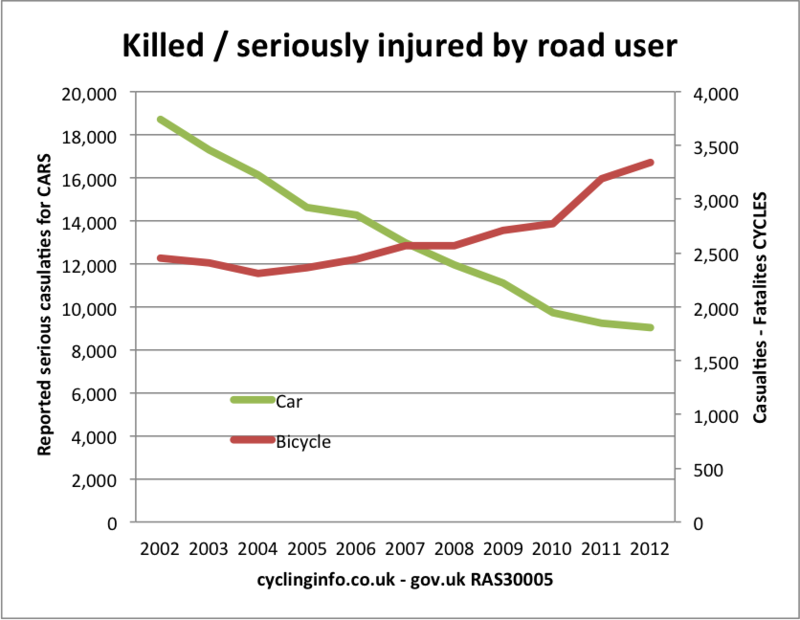 Whilst car users have seen a significant fall in casualties and fatalities, cycle users have seen an increase. 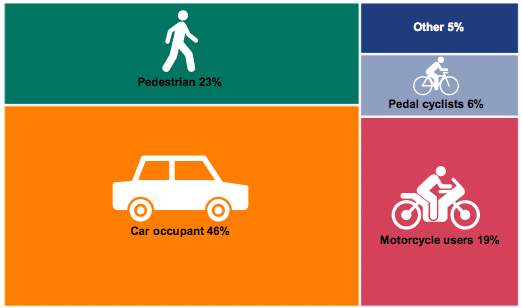 Pedestrians casualties has fallen in this decade from 8,631 to 5,979. You could attribute falling car fatalities to improved construction of cars, But, this wouldn’t explain why pedestrians have seen a fall in casualties whilst cyclists haven’t. Note, these statistics reflect casualties per km travelled. 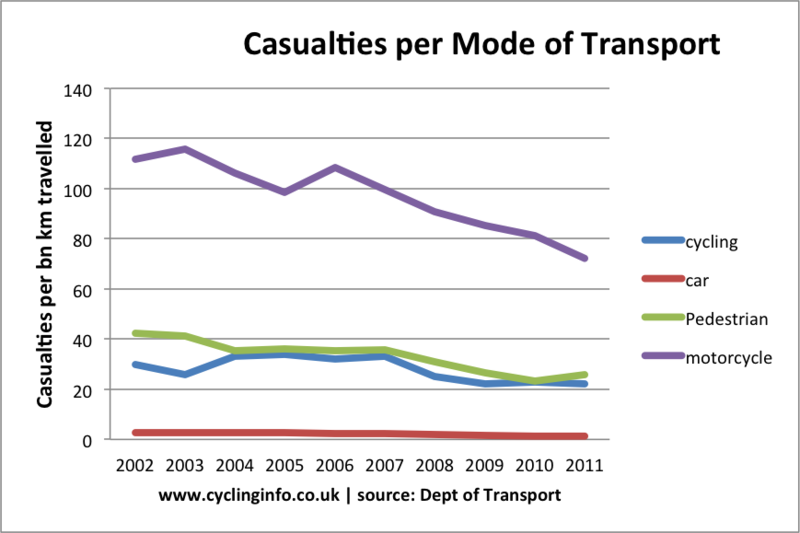 If you used casualties per individual journey – it would look quite different and cycling would appear more dangerous. Perceptions about the dangers of cycling deter many from cycling. 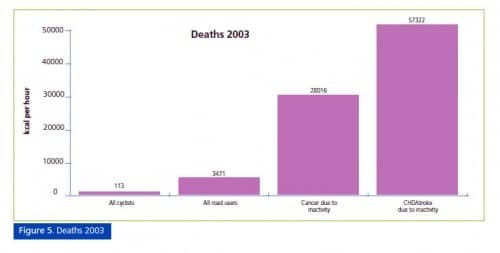 But, in perspective, mortality rates from cycling are much lower than the ‘silent killers’ , such as heart disease. See also: How dangerous is cycling? 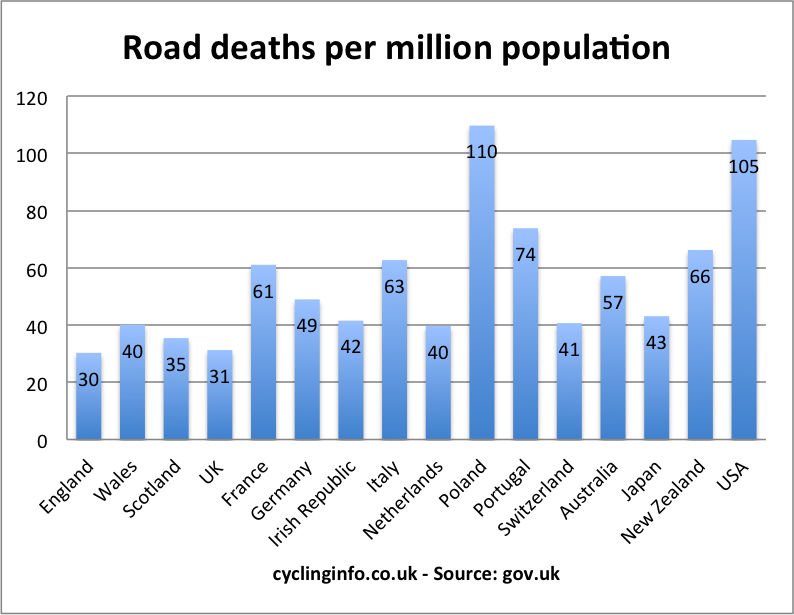 Unfortunately, international comparisons only show overall road fatalities, it would be interesting to see statistics specifically for cycle use. USA one of the highest in the developed world. In London 20% of fatal cycling accidents involve a HGV – often when a HGV is turning left at a junction. With adult cyclists, police found the driver solely responsible in about 60%-75% of all cases, and riders solely at fault 17%-25% of the time.. But, in the case of children, the police found that it was mostly the young cyclists to blame for failure to take care. Improved technology for HGVs to help reduce number of blind spots. Legislation on safe passing distances. More proactive road policing – fining (taking away license) for irresponsible behaviour. Not just waiting for accidents to happen. Cycle infrastructure designed to keep cyclists safe. Safety in numbers? The hope is that higher numbers of cyclists contribute to greater overall safety. 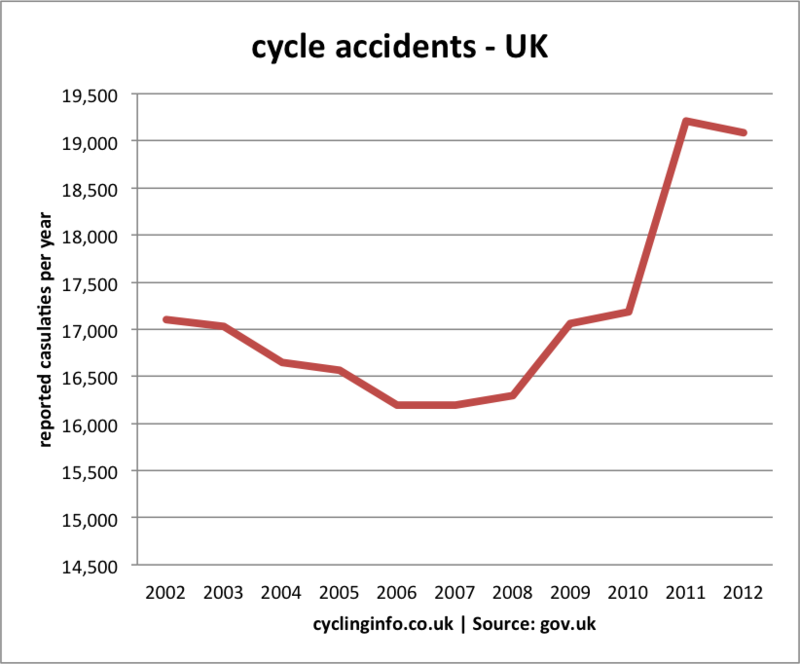 Though these statistics suggest that increasing numbers is not sufficient to make cycling safer. How to reduce fatalities and serious accidents is worth a post on its own not just a foot note on these statistics. Real reason is motive of HGV. Would love to see info on this.